Snuggling up for a few holiday specials? Having a kid playdate? Looking for a little easy kitchen fun? Wanting to grab something a bit healthier than eggnog? 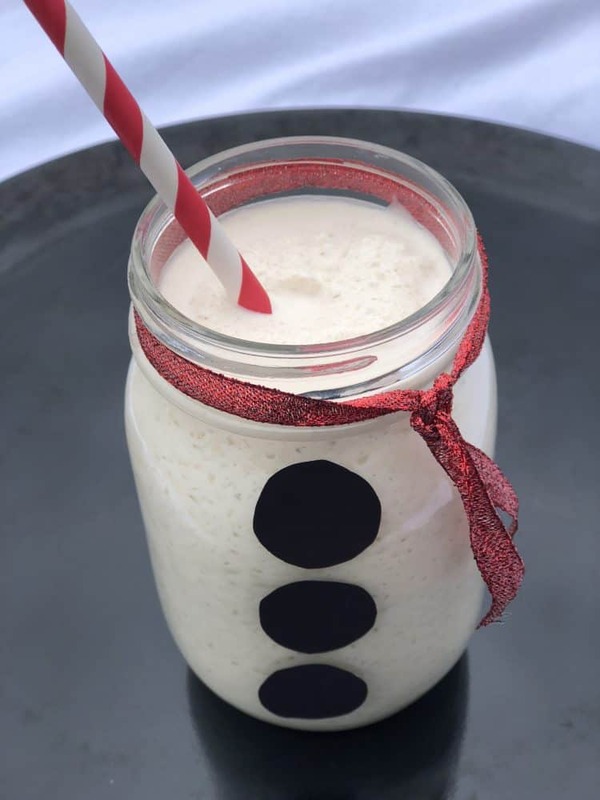 Check out my Melted Snowman Fake Shake! It’s scrumptiously delicious, easy to make and every sip is filled with holiday memories. Put the ice, milk, banana, honey and vanilla extract into a blender and blend. This is a fun serve any time, but perfect for holiday movie nights and/or play dates and parties. Optional: Serve The Melted Snowman in a snowman decorated bell jar. Start with a plain bell jar. Bell jars can typically be found in the paper products aisle at your Price Chopper/Market 32 Supermarket. Measure, cut and tie the ribbon around the rim of the bell jar. You can locate colorful ribbons in the seasonal aisle at your Price Chopper/Market 32 Supermarket. Add three black buttons onto the front of the jar by cutting small circles out of black construction paper and adhering them with tape. Black construction paper and tape can be located in the school supply aisle at your Price Chopper/Market 32 Supermarket. Serve your Melted Snowman with a colorful paper straw. You can often locate those in the seasonal aisle of your Price Chopper/Market 32 Supermarket. use the So Delicious Vanilla Coconut yogurt alternative with coconut milk (it does have a more tropical flavor). Or, try the vanilla almond yogurt alternative with almond milk or cashew milk. The cashew does make for a creamier mix. Watching the Grinch? 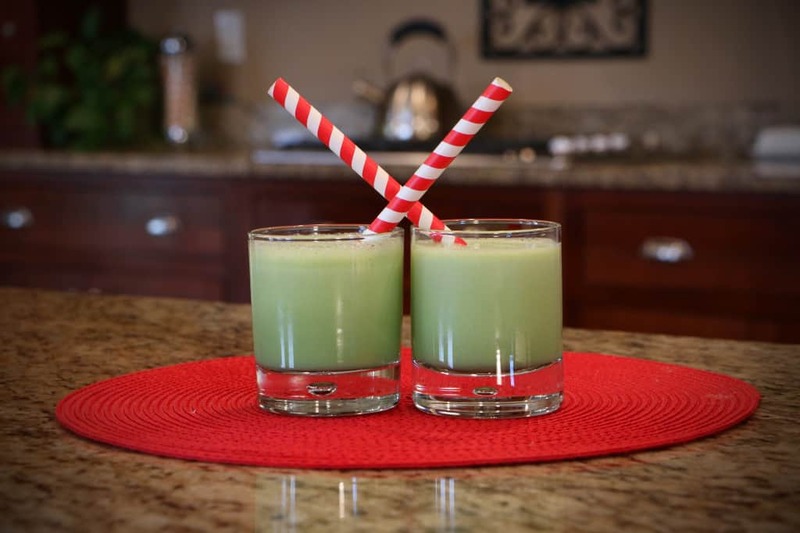 Check out my Grinch-ified Fake Shake. It has a ‘Grinch Like’ surprise in the mix that you cannot taste. It will warm your heart with goodness and help your kiddos hearts to grow with delight for healthy options, just like the Grinch’s heart grew and grew (wink). Thank you for sharing this adorable idea at the Friday at the Fire Station link up! You will be the featured post this week. I hope you have a Merry Christmas!